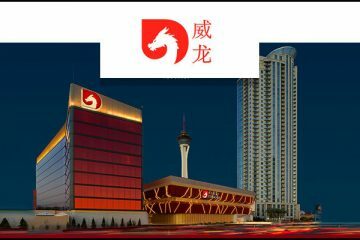 Lucky Dragon Hotel and Casino opened in Las Vegas with a soft launch on November 19th without previous notice and on December 3, the casino held an official Grand Opening with all the bells and whistles including fireworks, dragon dancers, lions and more. The casino is the first purpose-built gaming project in the city in six years, following the Cosmopolitan. Unlike some themed casinos, Lucky Dragon offers more than a motif, it was designed from the ground up to offer an Asian experience. Signage in Mandarin and English, multi-lingual staff, the absence of an unlucky 4th floor on elevator buttons, and more belie the design concepts. The casino opened one day after Chinese airline, Hainan Airlines, began the first nonstop flights from Beijing to Las Vegas. According to the U.S. Department of Commerce, nearly 2.6 million travelers from China came to the United States in 2015. That number is expected to nearly double to 5 million by 2020. Some reports indicate that the casino expects to draw 20 percent of its footfall from China, 20 percent from California, and 60 percent locally. While other casinos have focused on VIP whales from China, and they are certainly welcome at Lucky Dragon, China’s growing middle class and mass market gamblers and tourists are a focus for Lucky Dragon. The Hainan Airlines flight is expected to bring as much as $35 million a year into the city. The Lucky Dragon is located near the north end of the Strip on Sahara Avenue and was five years in the making from concept to ribbon-cutting. The modestly sized resort offers over 200 hotel rooms and an upscale spa, a 27,500 square foot octagonal casino floor hosting some 300 slot machines and 30 gaming tables with baccarat heavily represented. The property’s five restaurants are all Asian themed and there is no nightclub, bingo parlor, keno lounge, sportsbook or poker room.